The gist: We all know Lorelai Gilmore as a fast talker, coffee drinker, best friend, and good mom. But she’s also an awesome female entrepreneur, and that’s the side of her we’re paying honor to today. 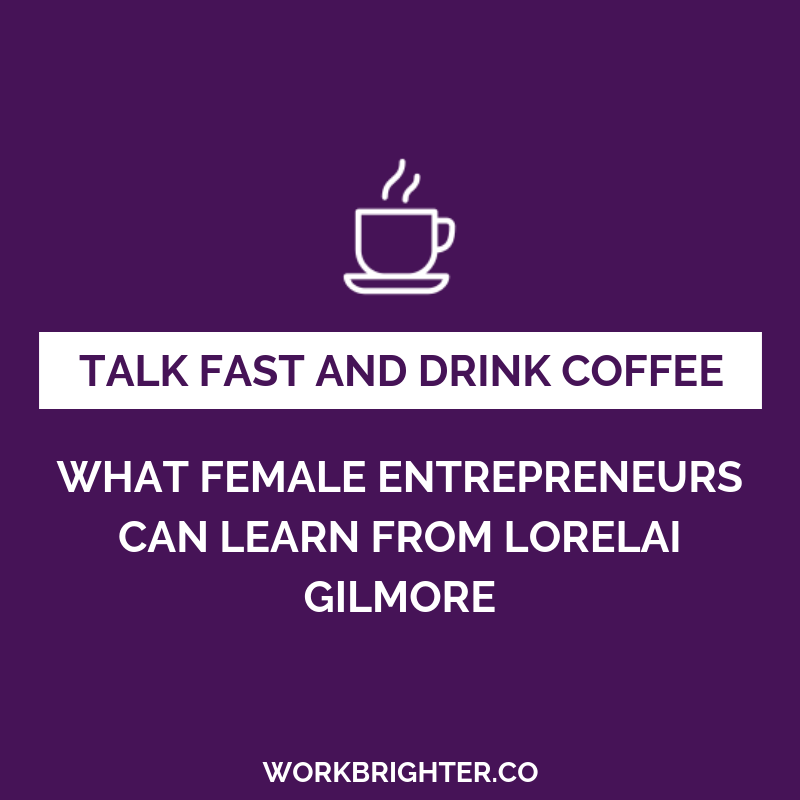 Here’s what all female entrepreneurs can learn from our favorite Gilmore Girl. Oy, with the poodles already. It should come as no surprise to you that I idolize Lorelai Gilmore, all faults aside. That stuff alone is enough to make her an inspiration to me. But there’s more to her than that, obviously. And that stuff only makes her more of a boss and an inspiration to female entrepreneurs. When I relaunched my blog last year, I knew I wanted sitcoms and pop culture to be part of the “brand values.” Yes, sitcoms are part of my brand. Not just because it takes active effort not to reference them in my writing anyway. Not just because it’s fun. And not just because it kind of fulfills my secret dream of being a pop culture commentator featured on VH1 specials like I Love the 80s Part 300. I knew that my readers could learn as much from lady bosses like Leslie Knope and Kimmy Schmidt as they could from ones like Mariah Coz. 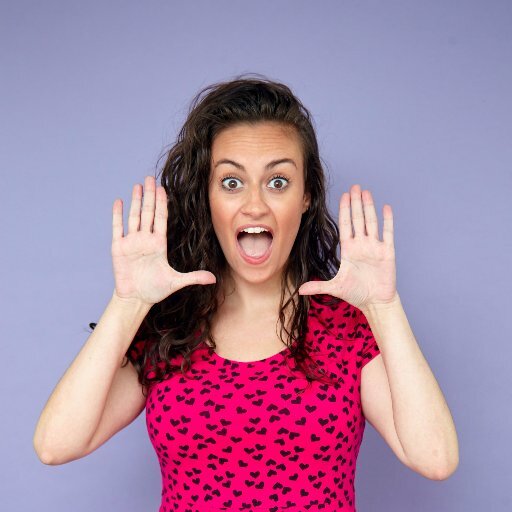 So anyway, when I was planning ideas for this new, not-yet-released blog for awesome biz women, I came up with the idea for these pop culture business lessons for female entrepreneurs. And it just felt like the most natural series of content ever. So I grabbed my pop culture quote pencils and made a list of the fictional women that inspire me in my business. Lorelai Gilmore was literally #1 on that list. Rory, Emily, Paris, and Lane are all on the list as well. So why didn’t I write blog posts about them immediately? Why haven’t I covered them all already by now? 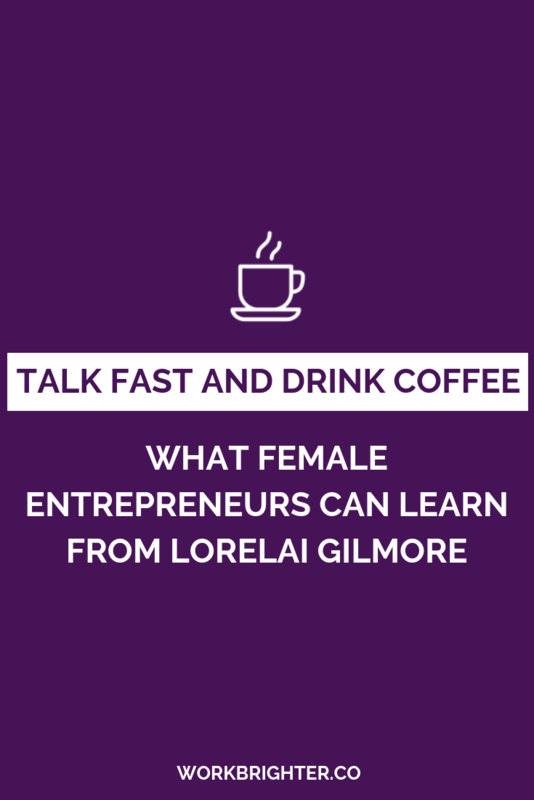 Because a few weeks after I scribbled down some notes about what Lorelai Gilmore taught me about entrepreneurship…a big. Important. Thing. Happened. Netflix proved once again that they are what’s good and real in this universe. They announced they were taking us back to Stars Hollow. In November 2016. With four 90-minute episodes. THAT’S PRACTICALLY MOVIE LENGTH. Netflix basically told us they were giving us four Gilmore Girls movies. Obviously, it was not the time to talk about Lorelai. She deserved more fanfare than that. The Netflix series deserved more fanfare than that. So the time is now, my friends! Gilmore Girls: A Year in the Life hits Netflix next week. I’ve already planned out how I’m going to adjust my sleep schedule so I can binge watch the whole thing starting immediately at 3:01am EST without having to pause for naps. I’m sure there will be more content to come about all that the show has taught me overall, but today, let’s shine the light on the queen of fast talking and sarcasm, my queen…queen Lorelai, and what we can learn about entrepreneurship from her career. Independence is a core part of who Lorelai Gilmore is. They joke about her fighting her mom’s decisions even as a baby. She drove herself to the hospital while in labor to go give birth to Rory…at 17 years old (and she didn’t even have a license). She left home for good at 18, with a baby, to go start a life for herself. She’s consistently shown choosing herself over a man, a friend, or whoever else…when it’s the right choice for her. Lorelai knows how to be on her own. If anything, it’s the being with others she wasn’t so great at. But then again, she also knows when not to be, when she needs Sookie or Luke or Rory. She even went to her parents for help with Rory’s education when it was the last thing she wanted to do, because it was the right thing to do. She’s somewhat of a lone wolf, but she knows when she needs to face a struggle on her own and when to turn to her support system. Know when to take leaps for your business, and when to step outside of your comfort zone. But also know when the risk may not be worth it. As independent as Lorelai is, she still knew – way back in episode 1 – that her daughter’s education wasn’t something to be stubborn and solo about. In general, Lorelai had a huuuuuuge support system. Rory, Luke (regardless of what their relationship status was at the time), Sookie and Michel and everyone else as the inn, the whole damn town of Stars Hollow loved her and would help her with anything. Even Emily and Richard, by the end of the series, were there for her to lean on. So despite being starkly independent, she still let other people help. Whether that was letting her parents chip in for Chilton, accepting a loan from Luke to open her own inn, or letting people from town chip in here and there whenever she needs it. She knew the most important thing about being independent, one that I still struggle with more than almost anything else in both my business and personal life: when to put your independence aside. Know when to ask for help, and make sure you have a support system in place. Starting a mastermind group with a few of your business friends to get together regularly, or joining a membership community like One Woman Shop or the Freelance to Freedom Project communities. Finally, Lorelai is also kind of like Hamilton: young, scrappy, and hungry. She’s the definition of “work ethic.” Of GSD. She worked her way up in the hospitality industry from a teenage runaway housekeeper who lived in the supply shed, to the manager of that inn, before opening her own. And she knows how to get it done – if not on her own, then how to get it done some other way. Girlfriend’s a master of delegation in the best way. Remember that time she had to bring stuff to a Chilton bake sale and “outsourced” the baking to Sookie, who showed up with the best stuff there? Or when she stood Luke up for their “painting the diner” date and bribed one of his suppliers to let her in so she could paint it herself? Be creative in getting from point A to point B in your business. When the easy, direct route to something doesn’t work (and when does it? ), put the creativity you normally spend writing or designing on creative problem solving. Or maybe you want to be less forgetful. That’s another characteristic she could do without. If you prefer all your biz and productivity advice with a side of pop culture, we need to be BFFs beyond this blog post. 😎 Click here to learn about Work Brighter.